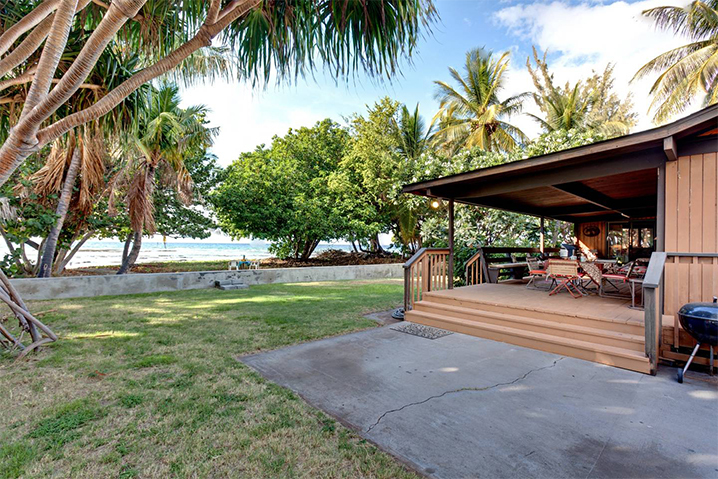 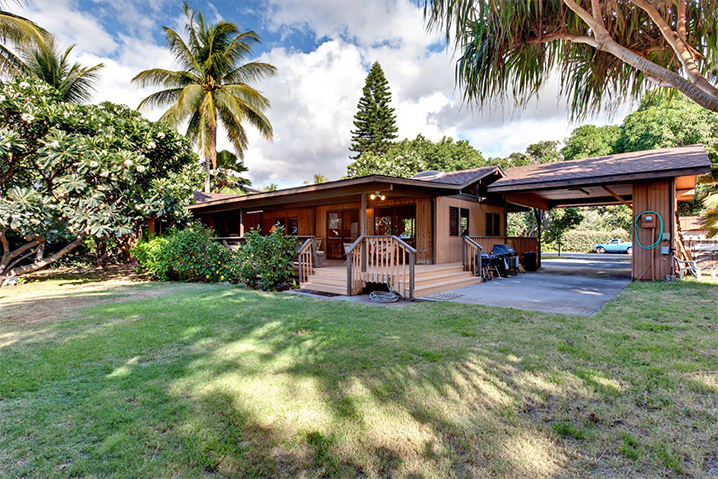 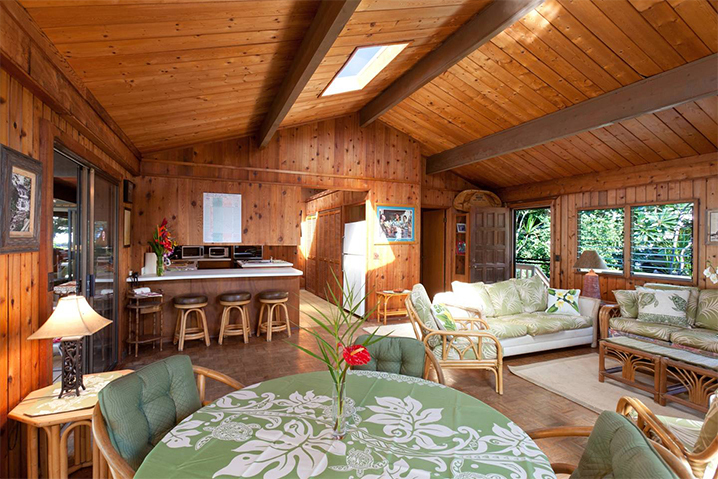 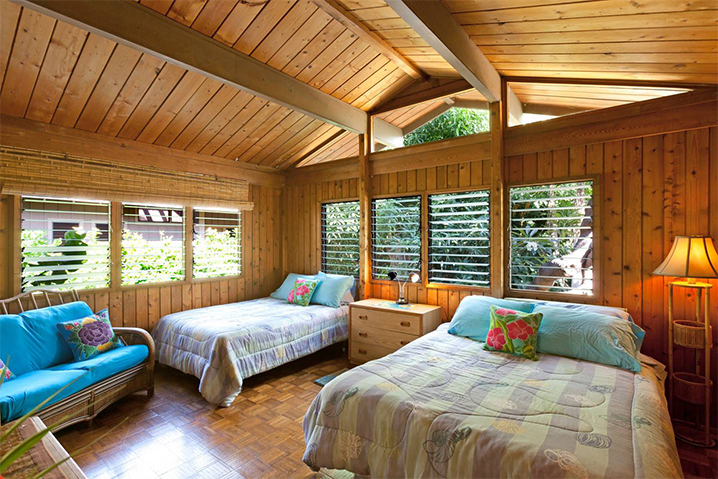 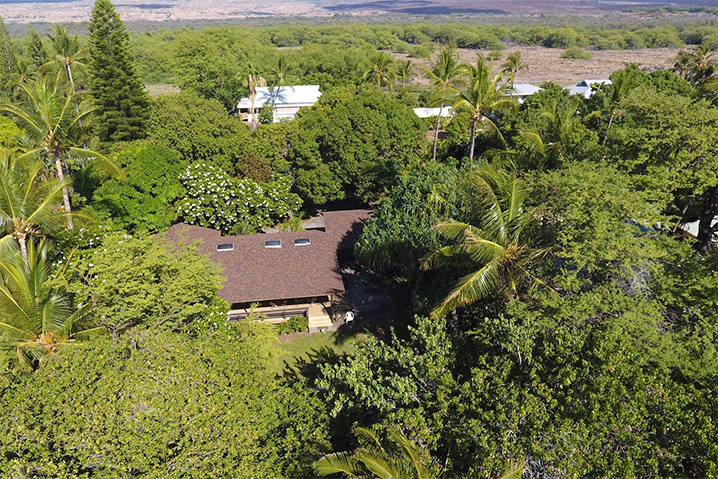 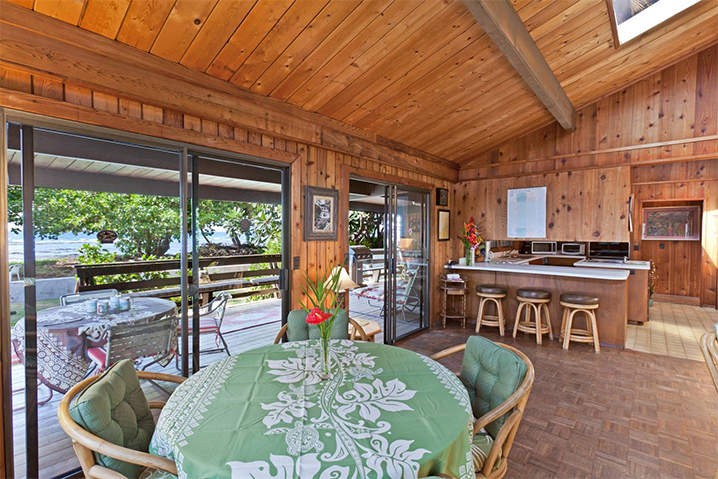 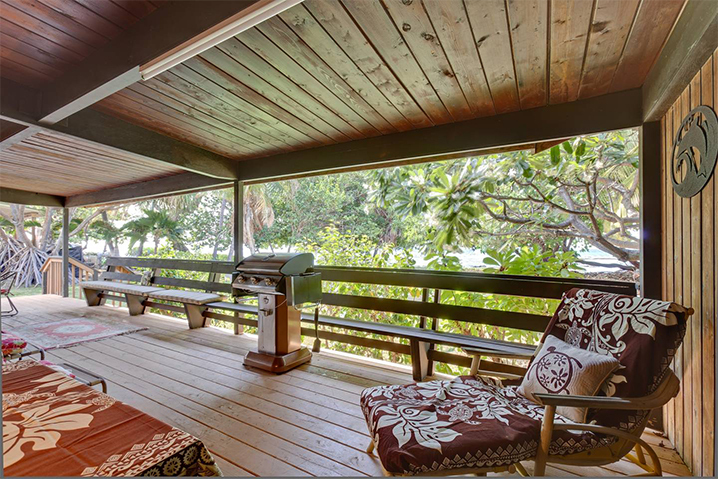 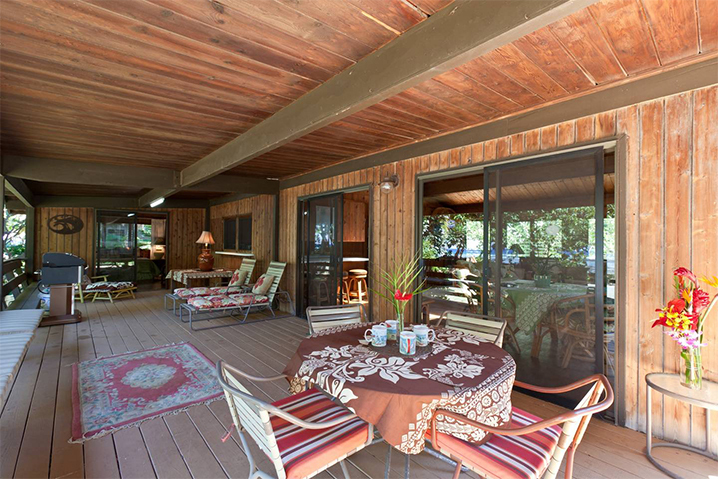 This charming and comfortable beach home has been the retreat property for a kama’aina family (born in the islands) for many years and now they open their doors to offer their Aloha to you! 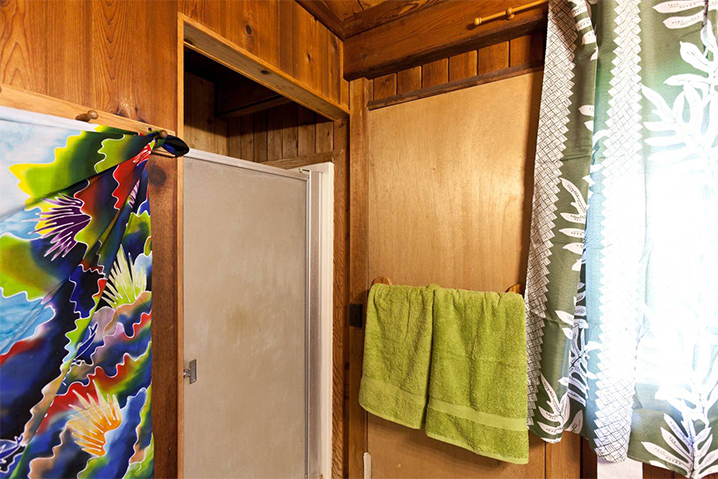 The two bedrooms are separated by a hallway for privacy. 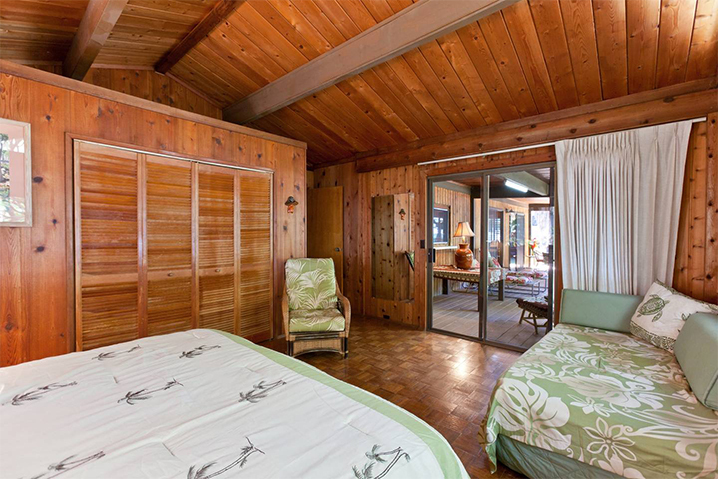 One of the bedrooms has two full size beds and a connecting bathroom. 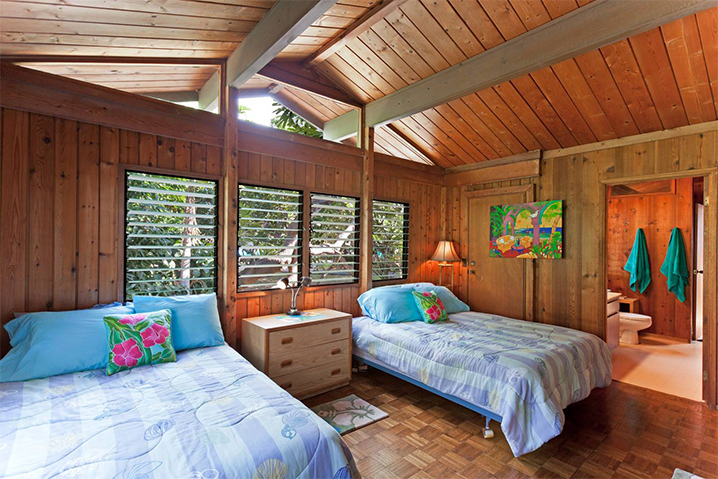 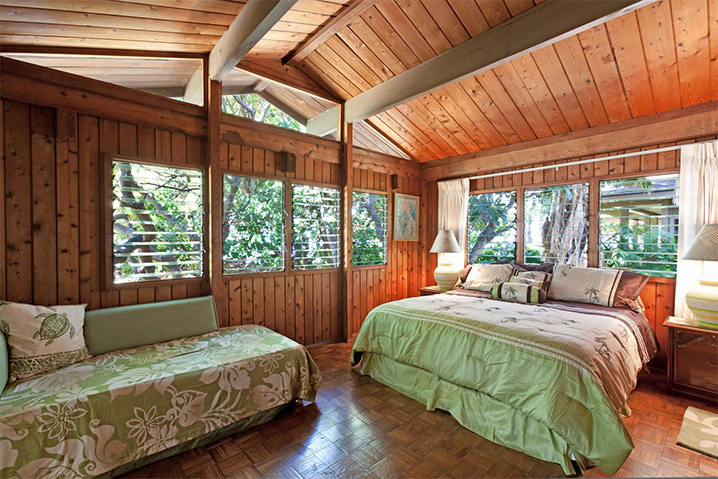 The oceanside bedroom has a queen and a twin bed, for a extra child or adult. 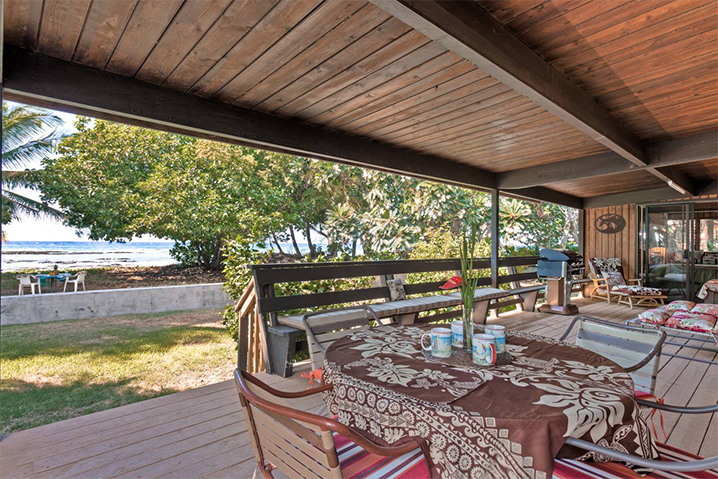 Relax on the deck and watch the whales in the winter, turtles in the summer. 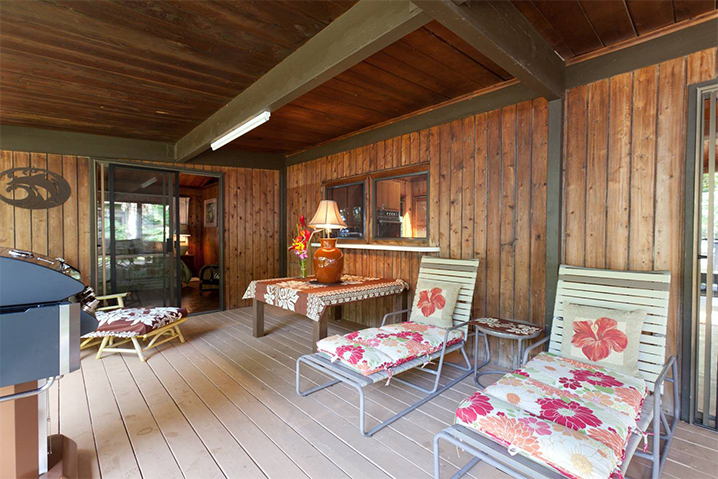 Have a barbeque! 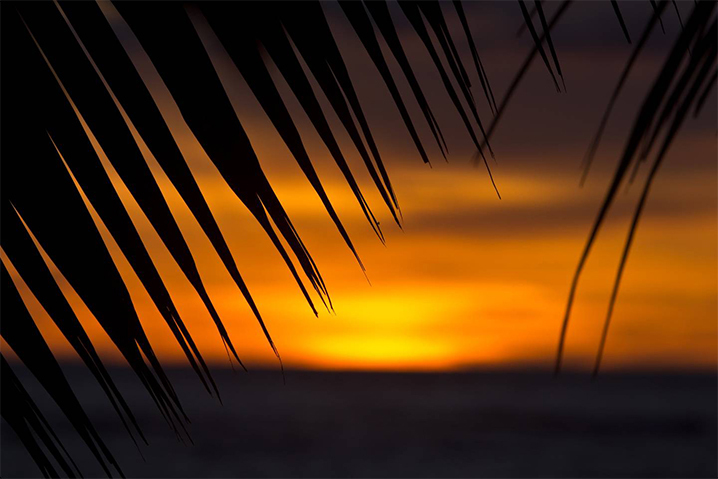 Watch the green flash! 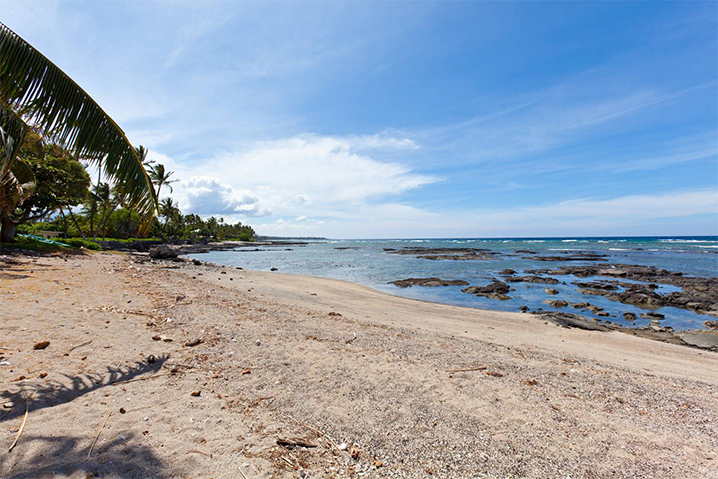 Puako Beach offers some of the best snorkeling and scuba diving in the world! 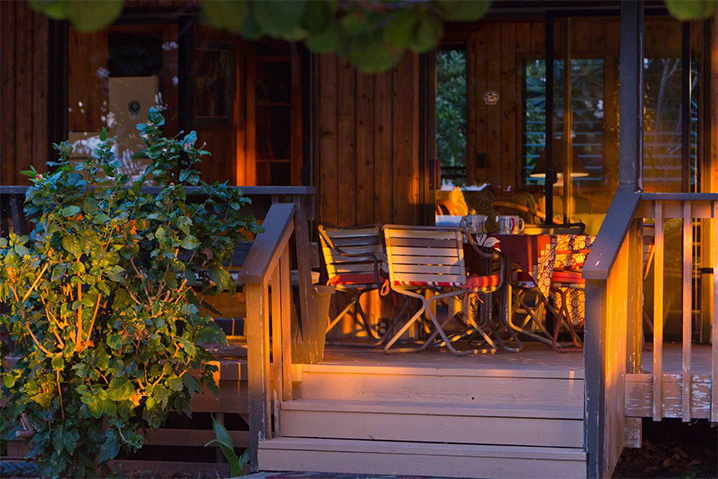 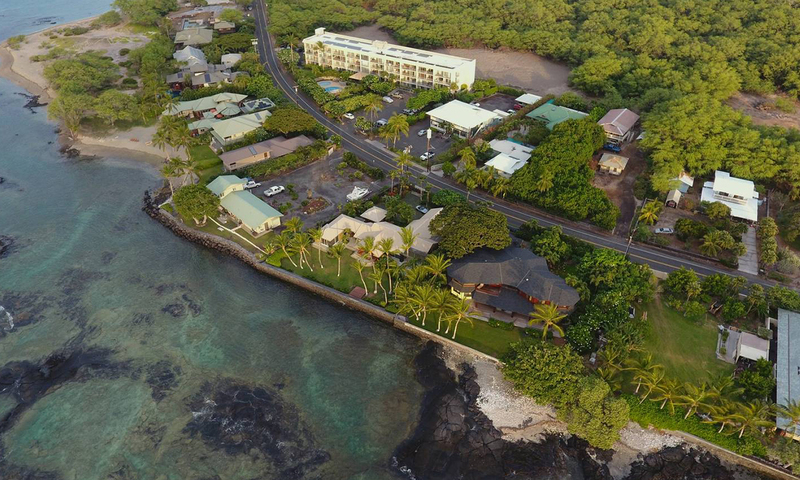 Puako is conveniently located for enjoying all the resort hotels and restaurants on the Kohala Coast. 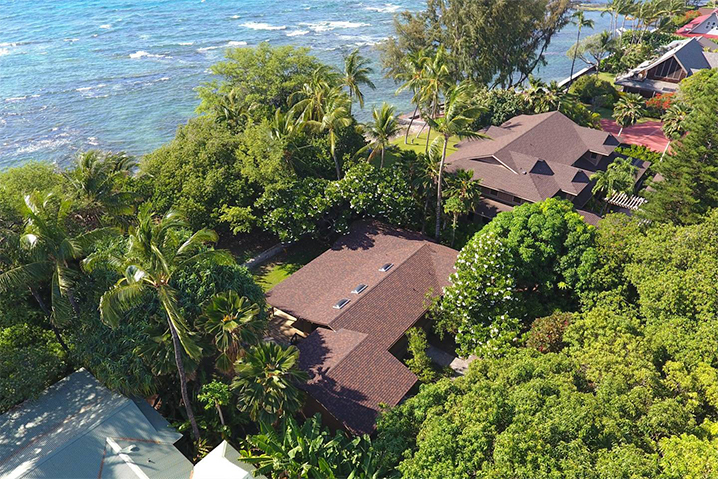 The Mauna Kea, the Fairmont Orchid, the Mauna Lani and Hilton Hotels are just minutes away with their beaches, fine dining, shopping and world class golf courses. 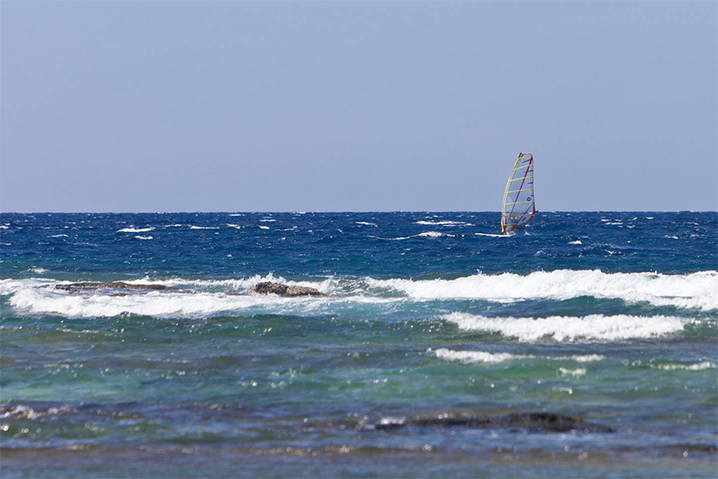 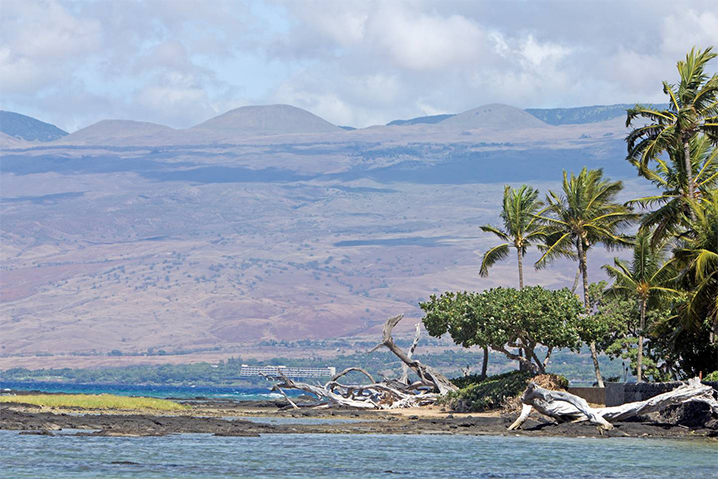 Kohala Divers and Ocean Sports is nearby at Kawaihae Center, and offers various ocean activities including scuba diving and sunset/afternoon sails. 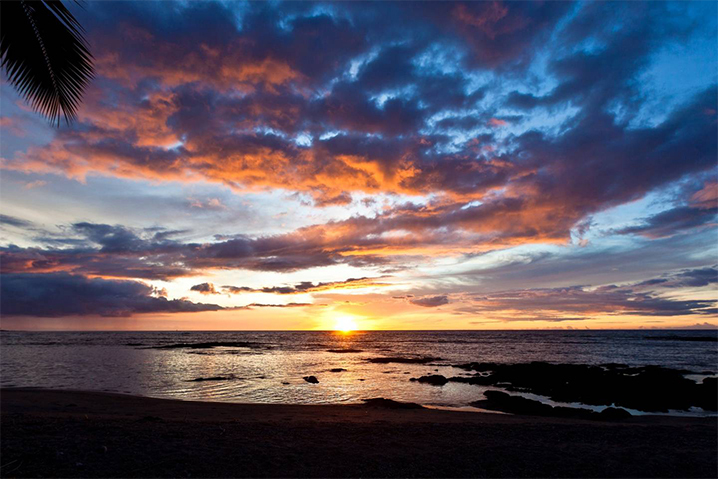 Kawaihae Center and Harbor are just 10 minutes by car, with several great restaurants and shops. 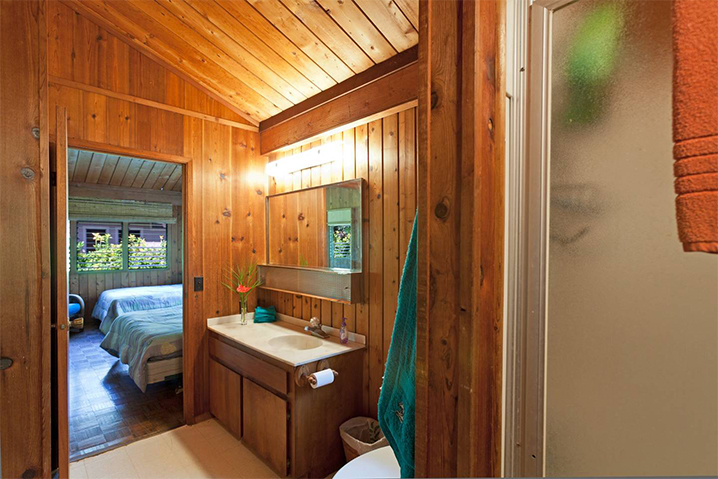 You are close to almost any activity you may desire, with the exception of viewing the volcano which is a 3 hour drive. 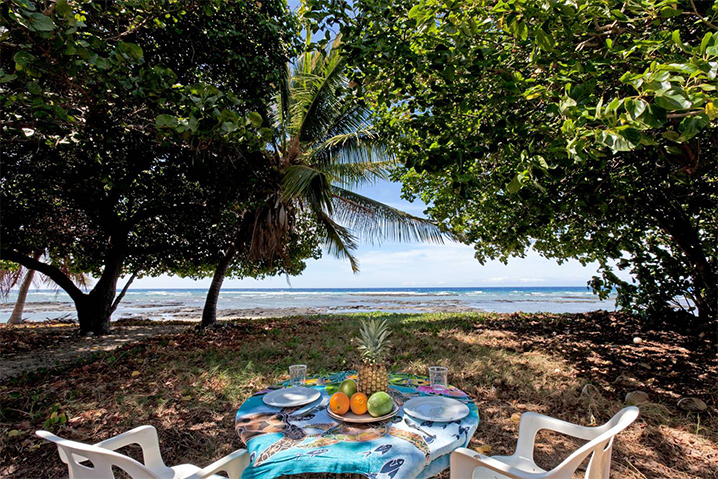 Several fabulous beaches are minutes away. 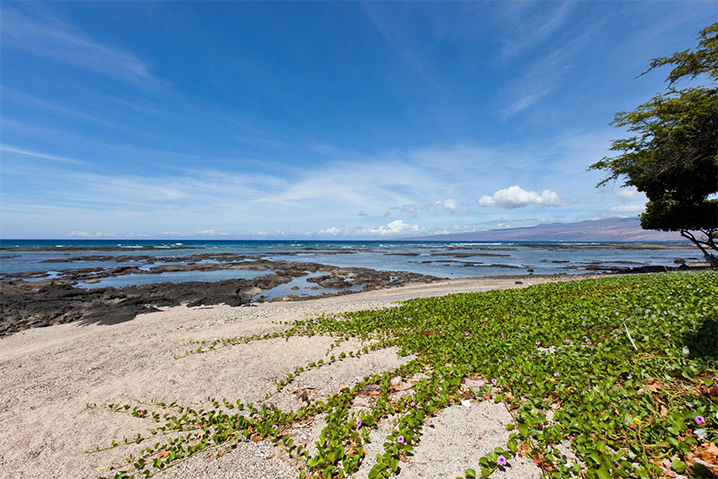 Hapuna Beach (voted best beach in Hawaii by Conde Nast Magazine) and Waialea Bay (Beach 69) both are wonderful for swimming, snorkeling and boogie boarding. 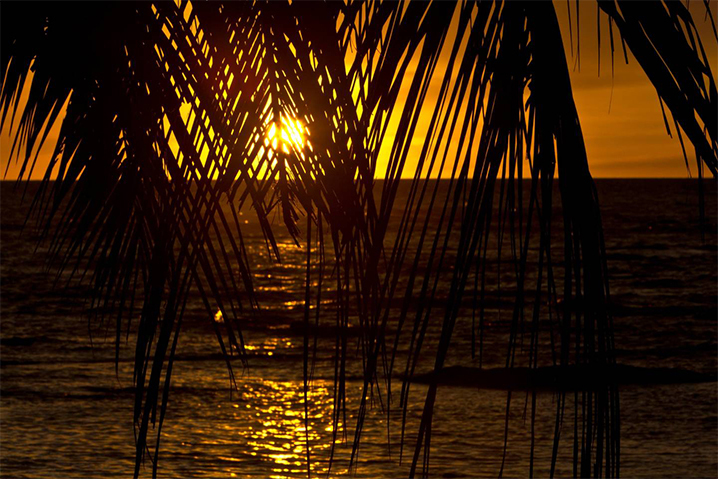 The sun shines 355 days per year and the average temperature highs are in the 80’s with low’s in the 60’s. 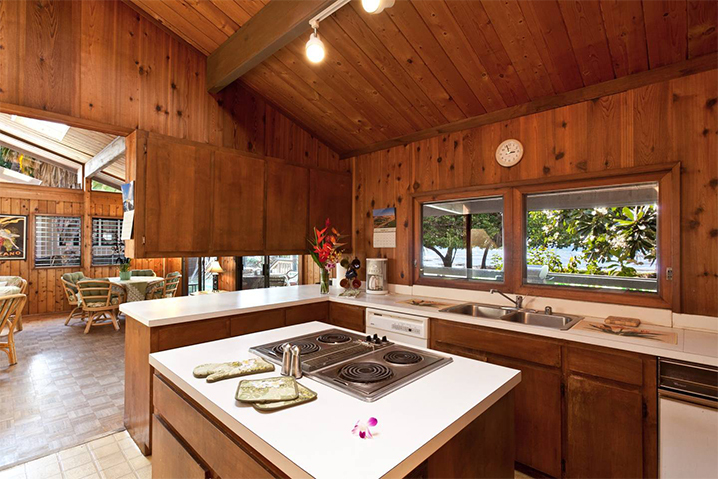 The ocean’s edge is about 60 feet from your doorstep with crystal blue water that is 72-76 degrees year round. 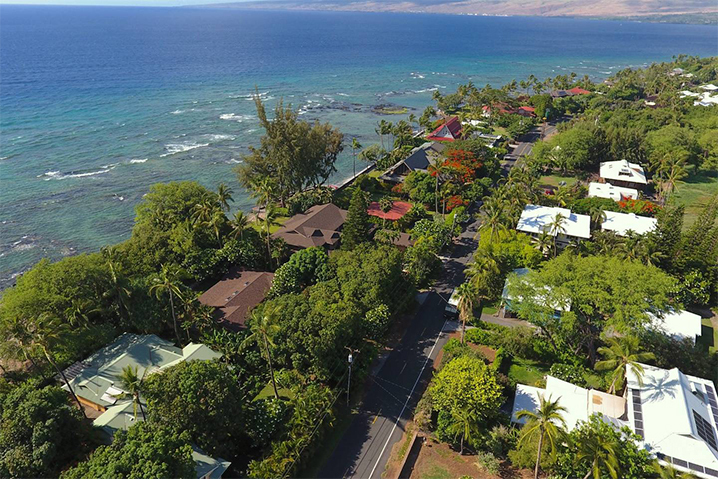 Puako (Pu-ah-ko) is the only small, quaint oceanfront community on the Kohala Coast of the Big Island. 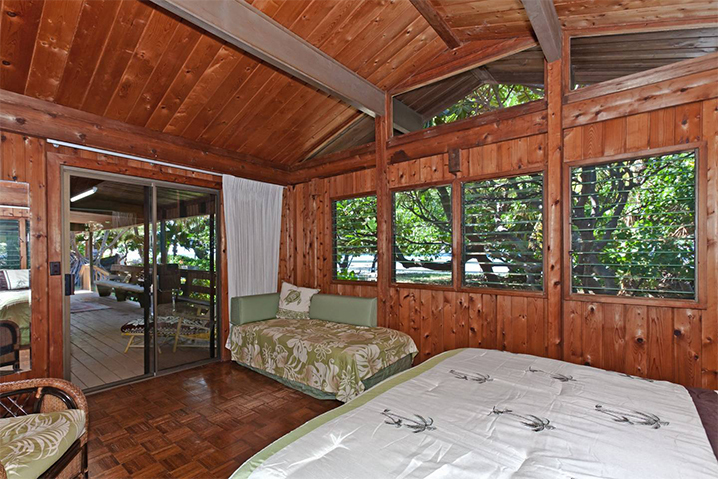 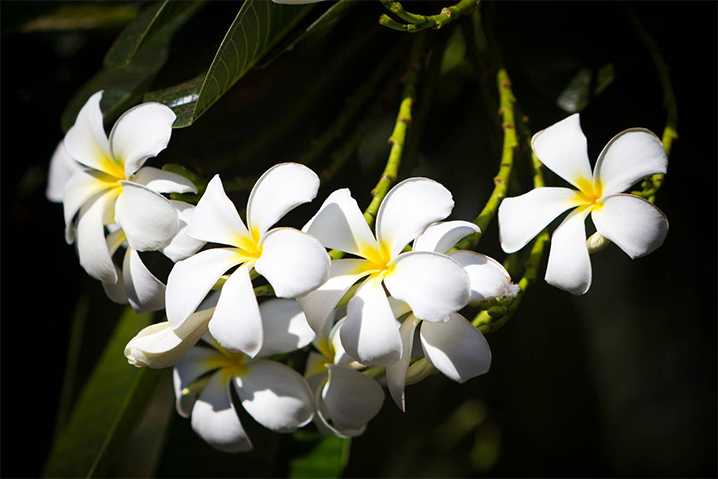 It is located about 30 miles north of Kailua-Kona and 22 miles north of the Kona airport. 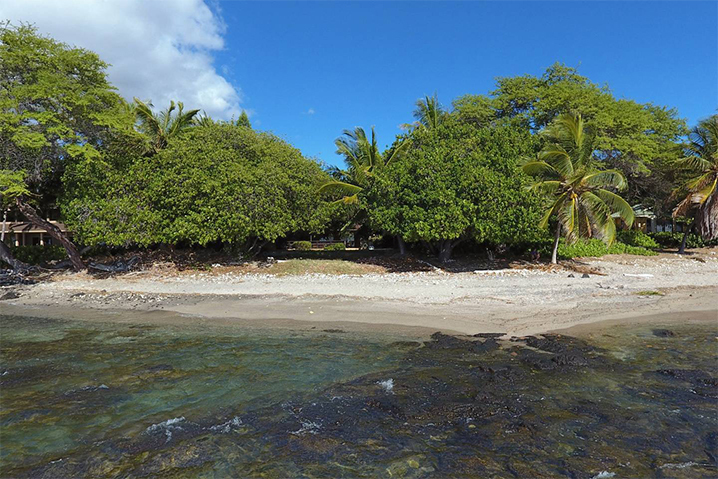 The island’s largest white sand beach, Hapuna, is right next door. 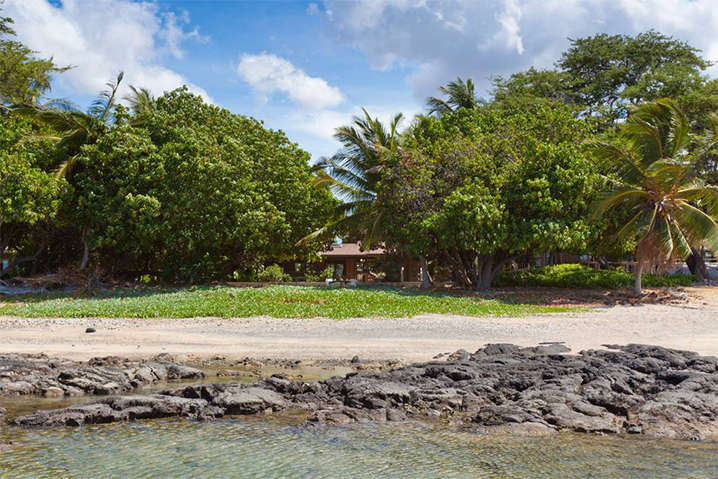 Right in front of this peaceful property, you will find the clearest, most ideal water for snorkeling in the islands! 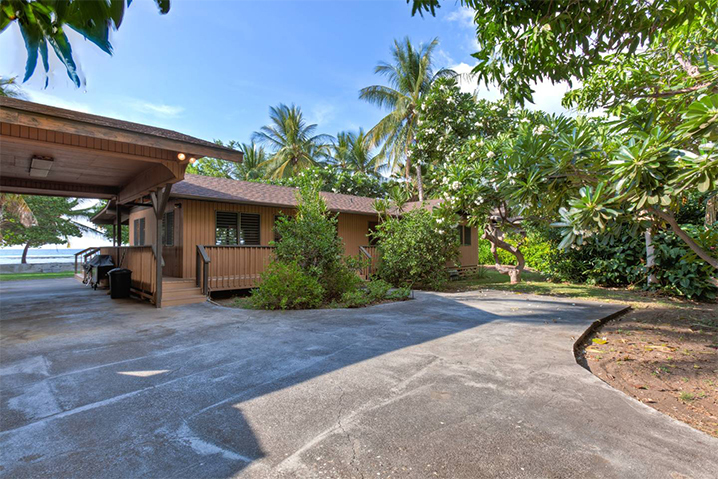 You’ll love the privacy, the yard, the deck and the fantastic diving and snorkeling across the street. 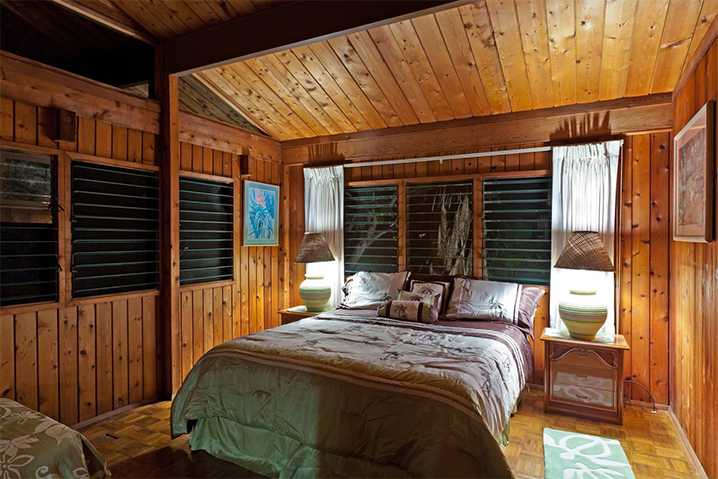 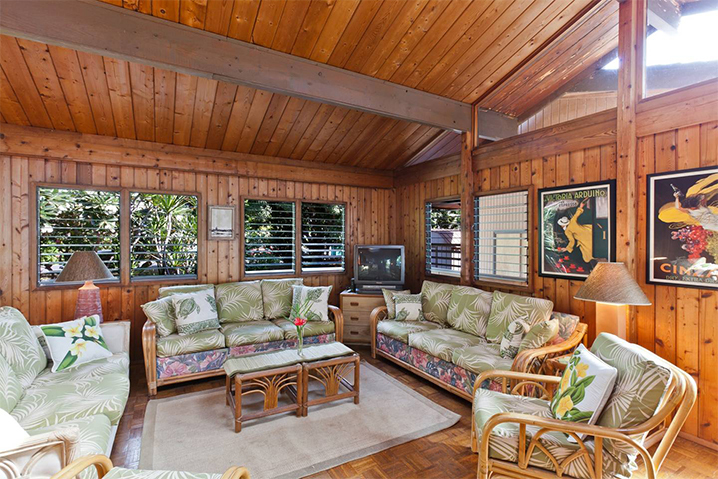 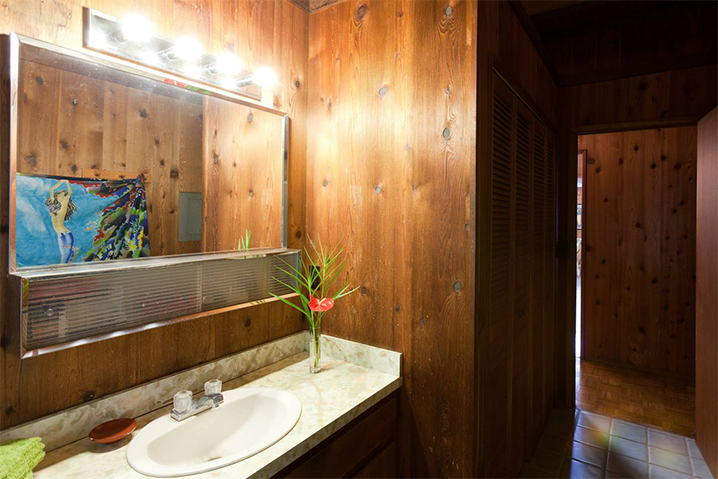 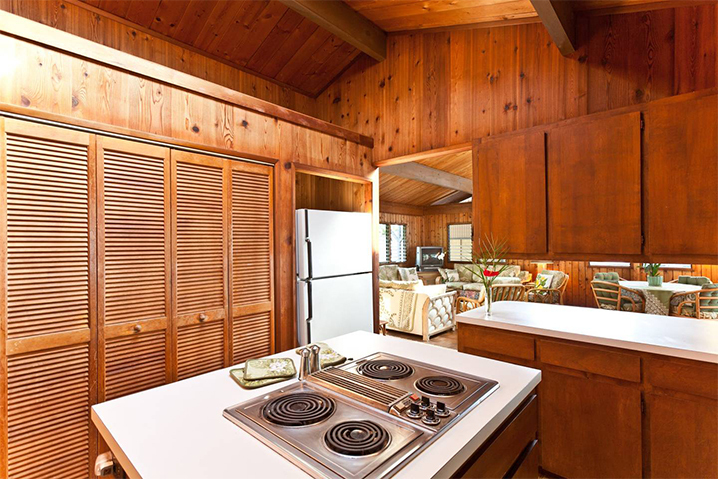 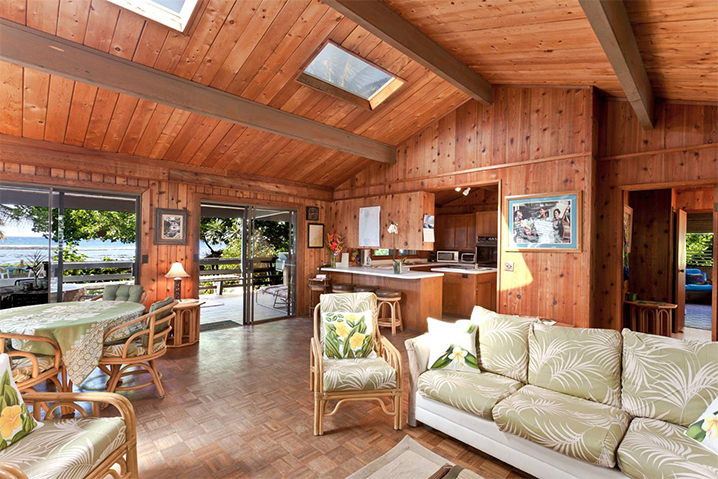 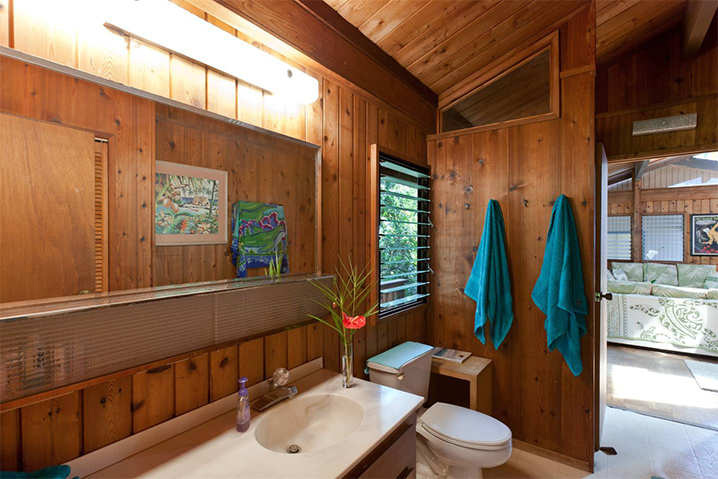 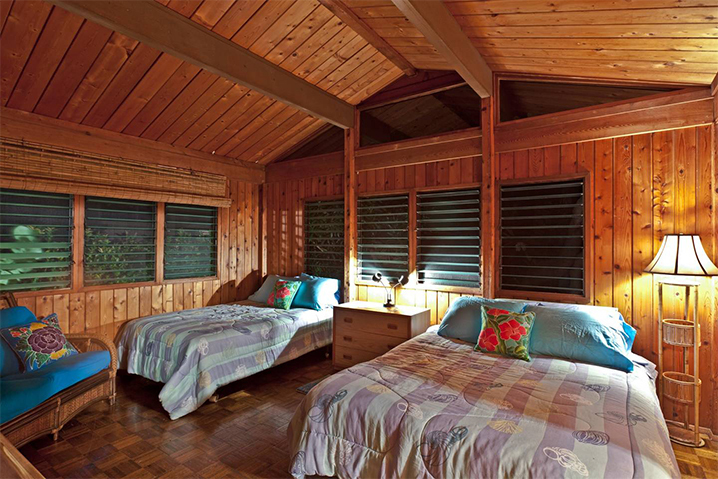 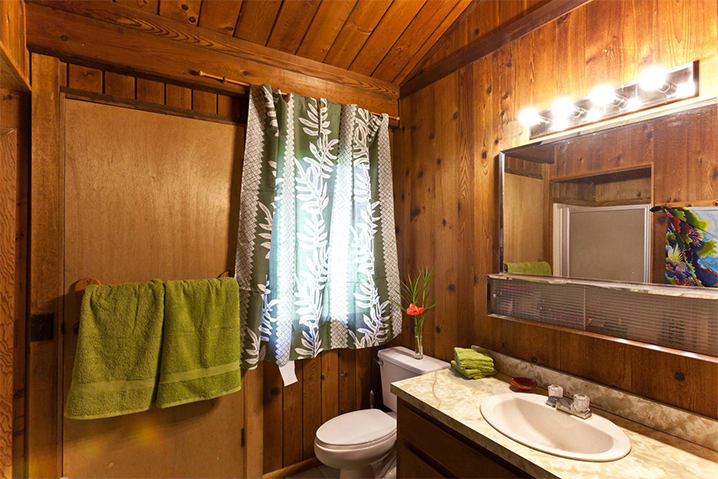 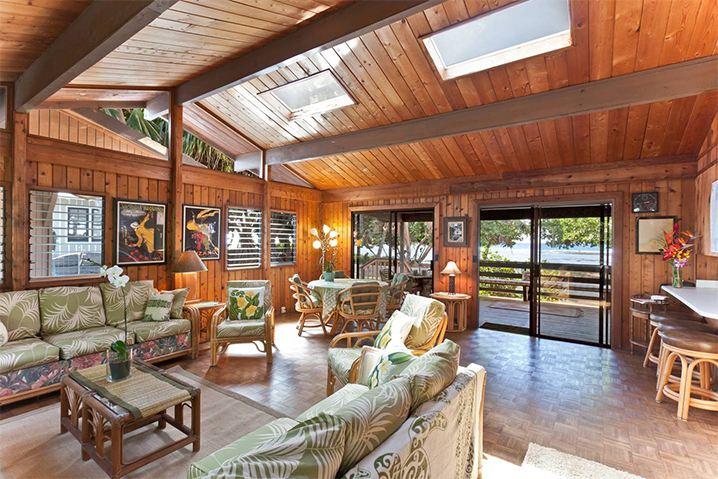 The art work and authentic Hawaiian charm create an ambiance which is warm and relaxing.